If the life of your loved one was lost in a fatal car crash, you are likely dealing with the immense sadness, shock and disbelief that they are no longer here. If the car, truck or motorcycle accident was the result of another driver’s carelessness, recklessness or negligence, you are likely feeling angry while hoping to seek justice against those at fault for your loss. Even though there is no level of compensation that can bring your loved one back, you are likely ready to discuss your rights to hold those responsible financially accountable for the death. 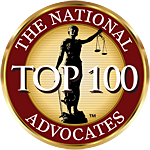 Hiring a RI personal Injury attorney or wrongful death lawyers in RI can help deal with the challenges you now face. A skilled Providence or East Providence personal injury law firm with years of experience in handling car accident wrongful death cases or personal injury causes of action can assist you in navigating the process of receiving financial recovery from every party at fault for the crash. Legal experience is important because the complexities of the auto insurance law and civil tort lawsuits to obtain compensation in Rhode island and Providence Plantations can be challenging at best when going it alone. In many cases, there are multiple parties legally responsible for the crash. The RI accident may have occurred through negligence by another driver, from faulty equipment caused by an automotive design defect or flawed manufacturing process, or bad roadways caused by a lack of maintenance. The death of your loved one might have resulted from an individual driving under the influence (DUI) who is simultaneously facing criminal charges. The accident might have only involved a single vehicle, which can often make it difficult to determine exactly who or what is at fault for the motor vehicle or car crash. Since the invention of the automobile, more than 3.5 million individuals have lost their lives in vehicle accidents nationwide. Statistics maintained by the Insurance Institute of Highway Safety (IIHS) show that more than 32,000 traffic fatalities occurred in 2011. Even though that year had the lowest fatality number on record since 1949, the factors that lead to the high majority of deaths, including driving while distracted, inattention and driving drunk continue to be serious problems. In 2013, nearly 6 out of every 10 motor vehicle fatalities across the country involve only a single vehicle collision. In many incidences, the crash occurred because of outside forces including adverse weather, road conditions or lack of signage at road construction zones. Resolving a claim for financial compensation can be difficult without legal representation. This is because the opposition in a car crash is not the other driver, but the insurance company that provides coverage to the automobile liability policyholder. Insurance carriers are in the business of making money, which often comes at the expense of paying adequate compensation on claims to victims suffering injuries and surviving family members who of lost a loved one in a fatal auto, bicycle or trucking accident. In many incidences, the claims adjuster will use various proven approaches to pay a reduced amount of recompense or find ways to avoid paying the negligence claim completely. A successful East Providence fatal car accident personal injury attorney or a RI personal injury attorney who specializes in RI wrongful death claims will have the experience in standing up to automobile insurance companies. 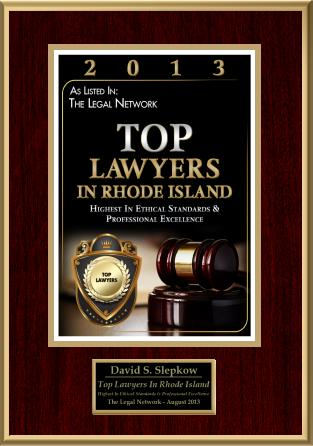 These Warwick, Cranston, Woonsocket or Newport law firms have extensive resources and access to investigators trained to gather evidence, consult eyewitnesses, review medical records and reconstruct the scene of the accident to build a strong case. Their efforts ensure you will receive the fair compensation you deserve to recoup your expenses and provide financial security in your future that can no longer be provided by your deceased’s loved one. 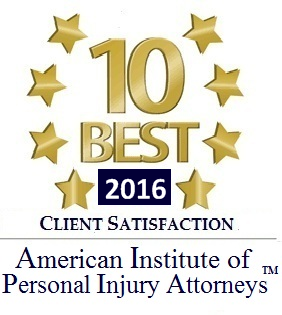 Wrongful death claims handled by RI personal injury attorneys are accepted on contingency. This means that the Riverside injury lawyer provides legal representation without the need of paying any upfront fees. The law firm typically provides an initial free consultation to discuss and evaluate the merits of your claim and can provide various legal options on how to proceed. During your case evaluation your RI personal Injury Attorney will give you the opportunity to discuss your situation and provide counsel to understand what you need to move forward during your grieving process.